We’re excited to join this year’s Minnesota Building Envelope Council’s (BEC) Annual meeting! It will take place on Tuesday, April 23rd at Jax Cafe in Minneapolis. 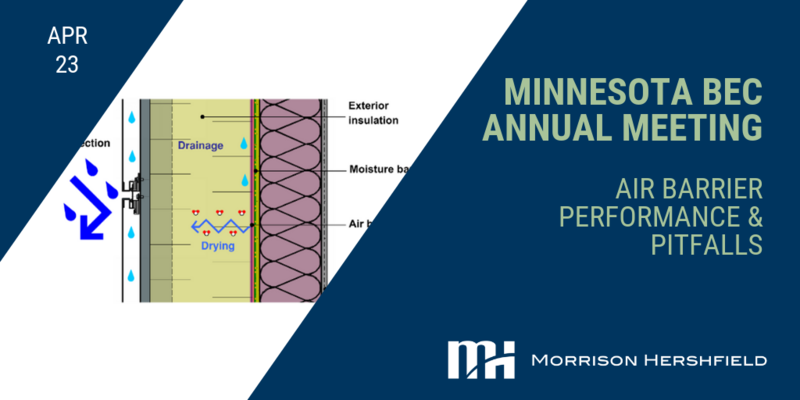 Morrison Hershfield’s Lee Durston, Principal / Senior Building Science Consultant, will co-present this year’s session Air Barrier Performance & Pitfalls. Attributes of the building envelope. Things that could go that actually do go wrong on a given project. Case studies on the good, bad and the ugly.